Only days after Denmark's government proposed a national ban on full-face veils, Jimmie Åkesson, the perennial leader of the Sweden Democrats (SD) created a stir in his country by distancing himself from a similar ban in Sweden, for which he and his fellow party members have been pushing for years. In an interview with Swedish TV presenter Sven Melander aired on his Facebook page, Åkesson said he did not think a ban was right. "I believe it's problematic," Åkesson told Melander, saying he was against a blanket ban on any clothing articles. "I'm more in favor of limiting parents' ability to force children into wearing religious symbols that are degrading to women," Åkesson added. In a subsequent interview with the Aftonbladet daily, Åkesson contended that many SD members were in favor of a complete ban, whereas he himself was "against any compulsion." The wording, however, left the Swedish public puzzled, as Åkesson generally enjoys the reputation of a consistent campaigner for "Swedish values." Some users went so far as to suggest that Åkesson "flipped a U-ey" and was "reaching out for the votes of woman abusers." To further elucidate his point, he addressed his core supporters on his Facebook page. "Nja, [Swedish expression of a grudging "no"], I'm not backing down," Åkesson wrote. In the same post, Åkesson clarified that the SD by no means advocated a general ban on headscarves, which, he argued, would have "undesired consequences." By contrast, Åkesson, by his own admission, "had no problems" throwing his weight behind a ban on burqas in public places, stressing that a general ban, involving private homes, would be "not without problems." However, even this message didn't seem to please Åkesson's entire readership, as many voiced their dissatisfaction by calling him "weathercock" and "chicken." In the past, Åkesson repeatedly rallied against the Islamic veil, claiming in 2010 that "terrorists and other criminal elements" used them to disguise their identities. 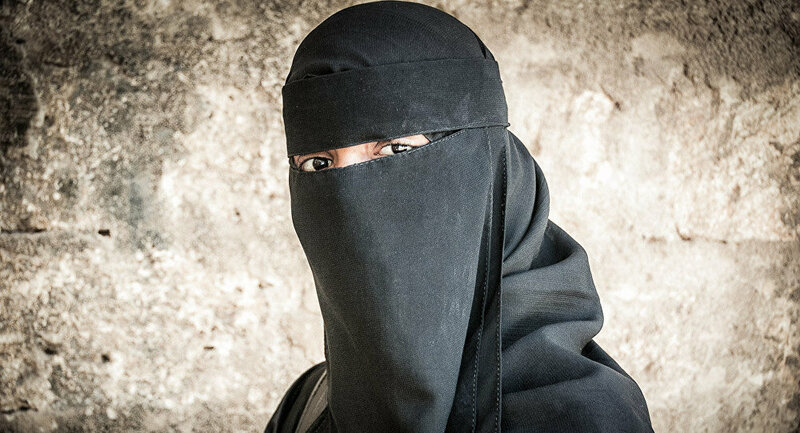 An SD press-release from 2010 welcomed the French burqa ban, with Åkesson himself claiming that the burqa was an insult to woman's' honor. Furthermore, a dramatic and much-debated SD election video from the same year featured a flock of burqa-clad women outracing a disabled Swedish pensioner for government assistance. In 2015, a Sweden Democrat reportedly handed out leaflets to migrants on the Greek island of Lesbos, informing that halal slaughter, the niqab and the burqa will soon be banned in Sweden. Founded 30 years ago, the Sweden Democrats have grown from an obscure niche movement to one of Sweden's largest parties, whose popular support reaches as high a quarter of the Swedish population, according to various estimations. At present, SD are estimated to be Sweden's third largest-party with around 17 percent of the vote.